Tiger Woods did an interview with Lorne Rubenstein recently for Time Magazine. He appeared more open and forthright about his career, his life and where he’s headed than in any previous interview he’s ever given. Do you think Tiger is trying to change his image as he gets older or is he spinning something as he did in the past? Jim Deeks, Fairways Magazine (@jimdeeks): I think the answer is “yes” to both questions. I’ve always thought Tiger was a master manipulator of the media — although having said that, I think Lorne did a great job with the questions, and I thought it was a very interesting interview. I think Tiger’s trying to generate a little sympathy for his situation, which is not unfair of him to ask. But based on past performance, I’m not sure we got more than a 50% realistic glimpse into his life. 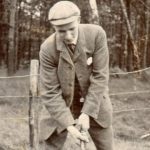 Peter Mumford, Fairways Magazine (@FairwaysMag): Great interview by Rube but like many in the golf media, you’d have to colour me sceptical. Tiger might be trying to set us up for the biggest comeback since Ben Hogan or he may be trying to soften his image as he coasts into a different phase of his life. If it’s the former, that would be just another example of Tiger jerking everybody around. If it’s the latter, I’ll need to see a lot more to convince me that Tiger has changed his stripes. Craig Loughry, GAO Director of Handicapping (@craigloughry): I think Tiger is just settling into reality. The interview is taking place while he’s trying to recover. Sometimes it’s hard to see the light at the end of the tunnel when you’re in the middle/start of your journey. But I also think he may be trying to lower the expectation of the public and media, so if he does come back and win, it will re-create Tiger-mania. I don’t think he’d be opposed to that happening, nor the Tour. Know that Tiger loves to STICK IT to the media and players who speak unfavourably about him too. Jim Kenesky, PGA (@JimKeneskyGolf): I just think Tiger is seeing how important Family is and that there’s more to life than golf. I agree with him in the sense that, at some point, whether it’s now or 20 years from now his career will be over. Once he’s done, there needs to be a sustainable quality of life available. There’s no spinning anything here, he’s seeing the end coming and just wants to make things right for his family. I have a feeling his children will be the motivation moving forward that will also serve as fuel for a comeback. Hal Quinn, Freelance Writer, Vancouver: Spin? Come on, during a fireside chat opportunity to rewrite history? Not Eldrick. But, if you are so sceptical as to not take at face value, among other howlers, the revelation that he had dinner with media types all the time (say wot? ); or the heartfelt confession that if he and Ellen (now just the bestest of friends) had just talked more then all that awful stuff (the most egregious revealed behavior of any sporting hero in memory) would not have happened, then that’s just harsh. On the other hand, if you are among the types who don’t take the comments as an accurate recall of history, then this is not just the latest chapter in the image change campaign, its more akin to the latest cosmetic surgery. 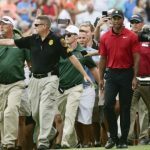 Frank Mastroianni, Freelance Writer: Before the interview, I thought, okay, so Tiger’s being asked some questions at his tournament and he’s answering. But as soon as that interview came out it was clear there was a plan; it was affirmed for me that it’s all a ploy. Everything is always the opposite of what Tiger says it is and I think he knows very well he’ll be back pretty strong. He’ll play up the ‘I may never be back card’ and the ‘I love spending time with my kids card’ so that when he does come back, it’s the greatest thing to happen to the history of humanity and so that people think he’s changed. The day of the press conference at Hero the Golf Channel guys were already conceding it would be the best comeback ever…even better than Hogan. But if there’s one thing everyone can be sure of when it comes to Tiger is that he will never change. 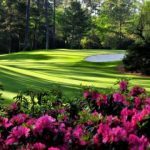 TJ Rule, Golf Away Tours (@GolfAwayTJ): I may be naïve, but I like to think that he has put some things in perspective. It’s likely because he is human now from a golf perspective and he realizes how hard the game really is, and I think that has humbled him. I’ve never hid the fact that I’m a Tiger fan, and I hope that he returns to his competitive ways, and I still think that’s possible, and maybe more so with his new outlook on life. But then again, maybe I’m just naïve! Dave Kaplan, Freelance Writer (@davykap): I think that Tiger is trying to change his image now that he has become old and broken. Really, though, I think the aim of this interview was to lower the fan and media expectations that will be placed on him going forwards. Last year, every tournament came with the subtext, “will this be the event where Tiger rekindles his magic and returns to form?” This interview was a pre-emptive attempt to take some of the pressure off him when he does finally return from this latest surgery. I don’t think anyone thinks that Tiger is truly done. I don’t even think that he thinks this. But now, at least, he will not be bothered by lofty expectations while working on his gradual return to the sport. That being said, Tiger says with all of his downtime now, he has become incredible at video games. I wonder if he can bring himself to play the new Rory McIlroy PGA Tour video games by EA Sports or if he is living in the past and playing the old Tiger Woods video game franchises. Wouldn’t surprise me. Over the years, Tiger has given everybody lots to talk about both on and off the golf course. What’s your favourite Tiger memory? Rule: When I first read this question, I thought that it must be some Masters moment, but couldn’t think of anything in particular, maybe his chip in on 16 in 2005, but as a Canadian, I think it’s his second shot into 18 at Glen Abbey in 2000 to win our national championship and complete the trio of British, US and Canadian Opens in one year. Jack never won our national championship, and I think it’s neat to say that Tiger did. 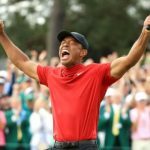 Kaplan: My favourite Tiger moment was at the 2008 US Open at Torrey Pines. That was my 21st birthday weekend — most of it was a blur, but I can still remember the golf vividly — and I was visiting my brother in New York City. I was scheduled to fly back to Toronto on the Monday following the tournament, but a tornado near LaGuardia airport delayed my flight by something like 8 hours. Luckily, I got to watch the entirety of the 18 hole playoff in the airport bar, amongst a group of likeminded travelling Tiger supporters. Tiger’s play was inspiring and that airport bar was rocking. To this day, it is still the best environment that I have ever watched golfed in and is easily my favourite Tiger memory. Mastroianni: I’m tired of Tiger’s shtick. My favourite Tiger memory will be when he’s hitting the ceremonial tee shot at The Masters. Mumford: I have two dominant memories of Tiger that, to me, demonstrate his “foot on your throat, win at all costs, to hell with the rules” attitude. The first is Tiger getting a crowd of fans to move a boulder at the 1999 Phoenix Open. It technically wasn’t illegal but it was a disgraceful breach nonetheless. The second was at the 2013 Players Championship when Tiger pull-hooked his tee shot into the water on #14, then intimidated poor Casey Wittenberg into giving him a favourable drop when clearly Tiger should have been back on the tee. Some people think Tiger was smart in gaining an advantage within the rules but I don’t see it that way. Loughry: 1997 Masters when he blew away the field. That was unbelievable. He won by 12! A close 2nd would be Pebble Beach and the 2000 US Open (15 stroke win). I picked the Masters because he was just 21 and to lap the field (next closest was at -6 to Tiger’s -18) was absolutely a dominating performance. We won’t see anyone lap fields like that in any Major ever again. Quinn: It’s close between the ‘You da man’ morons moving that VW-sized boulder in the desert (sorry, loose impediment) in the ’99 Phoenix Open; his OB ball miraculously reversing direction and coming back into play on the last hole in the 2000 PGA Championship playoff with Bob May; and caddie Stevie throwing the grandmother’s offending camera in the pond. It wasn’t the crazy 6 iron out of the bunker on 18 at Glen Abbey that an acquaintance duplicated with a 7 iron, in bare feet, and then said: “Stupid shot.” So, will have to give it to the chip in on 16 at Augusta National in 2005 — everything about it but the celebration. Deeks: I’m not a fan of Tiger’s, so I don’t have any favourite memories… although I must admit, walking roughly 50 yards with him through the media tent at the 2013 Presidents Cup, just him and me chatting together, was pretty cool. I was surprised, because he actually spoke to me. I have no idea what he said, but I’m sure it was 50% realistic. Kenesky: I have to say the two memories that stick out in my mind are his 6 iron at Glen Abbey and his 2008 U.S. Open. To think he won that U.S. Open over 90 holes on a broken and torn up leg. Crazy! However, pretty much anytime Tiger was in contention for a major, he made something memorable happen. Bubba Watson won the Hero World Challenge on Sunday in record setting fashion, showing how talented and creative he can be. With so much talent, should Bubba’s record be better than it is? Or is he an underachiever? Rule: I have to respect Bubba’s talent and imagination on the golf course, but I still can’t stand the guy, so in my mind he has overachieved, because I see him way too often on TV on the weekends, and I don’t need to see him yell “mud ball, MUD BALL” ever again. Mumford: Driving, iron play, chipping and putting are all important aspects of a player’s game. But so is his mental strength. By his own admission, Bubba has trouble focusing for long periods of time, yet when he’s on he is brilliantly creative and has few peers on the PGA Tour. I actually think Bubba is an over-achiever because of what he’s accomplished in spite of his mental quirks and lapses. Loughry: Bubba is an underachiever. He’ll only ever contend at the Masters and a few other tournaments each year, but he will never have a 4+ win season like super stars have. His attitude and poor putting stroke won’t allow him to contend in other Majors, not against the crop of superior talented young guns he’s playing against. Deeks: I would say Bubba’s just about where he should be… peaking at number 4 in the world… and I don’t think that’s underachievement by any means. His mind and his temper are what keep him from being mentioned in the same breath as Jordan, Rory, Ricky and Jason. But he belongs in the next breath, with Dustin, Justin, and maybe Zach. Mastroianni: Bubba is Bubba. I think he’s exactly where he’s supposed to be. He’s creative on the golf course but that doesn’t mean he’s the best or should be. His short game will keep him from being any more of a player than he is. He’s got great hands, but not around the greens. That and his attitude. He can’t keep his emotions in check. Kenesky: Bubba lives and dies by his driver. When he’s on and manoeuvring the ball how he wants, he’s nearly impossible to beat. For what he has in his arsenal, I don’t think he’s underachieving. Heck, at one point I thought he was overachieving considering the inconsistent putter he has. Bubba will never change and let’s hope he doesn’t. Quinn: Bubba seems to have gotten just about all he can out of his wacky game and talent. 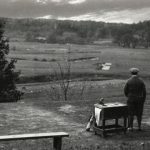 Even while winning at the no pressure one-percenters haven of Albany, he hit 230-yard shots to reach 180-yard targets, for absolutely no reason other than he saw that shot. When he’s comfy on his parabolic path, it’s all good. Once his swing gets a half-second or a millimetre off, or his mood swings, he just looks like a frustrated hacker hitting unguided bananas. It’s bizarre to watch. 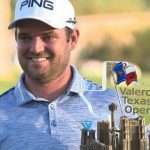 Kaplan: I don’t think you can legitimately call anyone with two Green Jackets an underachiever, but it is a little surprising that he has only won 8 PGA Tour events in his career. Like Jimmy Walker, Bubba was a late bloomer who only started finding success in his 30s. Since then, however, he has charged up the OWGR rankings and in my opinion, sits exactly where he should be (4th overall) in terms of the world’s elite players. He is not as good as Spieth, Day or McIlroy but better than just about anyone else. He’s still a TURD, though! 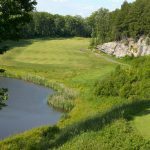 In your opinion, who’s the biggest underachiever on either the PGA or LPGA Tour? Deeks: On the PGA Tour, I’m reluctant to say, but I will: Adam Scott. I really thought he’d be in the Top Tier for a lot longer than he was, and I don’t think he’ll get it back. 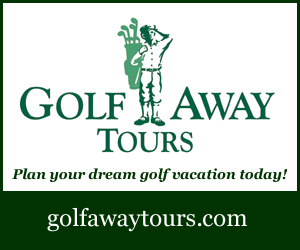 On the LPGA Tour, take your pick from the top Americans: Crusty Kerr, Paula Creamer, Morgan Pressel, Lexi Thompson. These women just can’t seem to figure a way around the Asians. Maybe Cheyenne Woods will, now that she’s got a Tour card, and if she can stay away from the waiters at IHOP. My hope is that Brooke Henderson becomes the dominant star on the LPGA, starting this coming season. 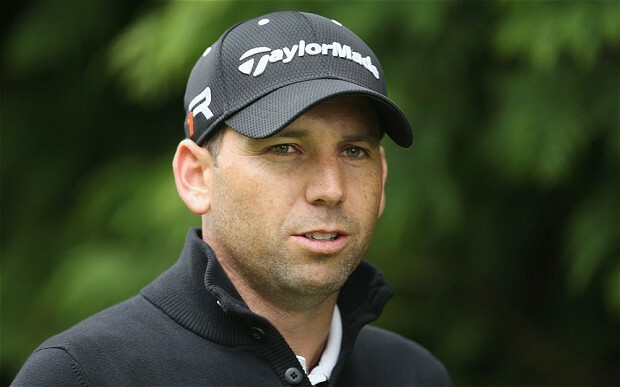 Kenesky: PGA Tour: Sergio Garcia, no majors and just seems to become a non factor when it matters the most. 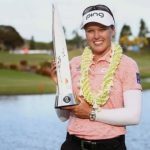 LPGA Tour: Michelle Wie has a major but just not doing what she was hyped up to be on a regular basis. Quinn: For all the potential, initial charisma, and stunning talent, Sergio has done less with more than any player on either Tour in the modern era. Mastroianni: The biggest underachiever currently on any tour is without a doubt Sergio Garcia. Sergio is simply a wizard. Unfortunately, he’s more up in his head than anyone I’ve ever seen. There are just too many factors at play and they all contribute to his relative lack of success. 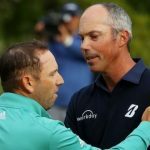 Kaplan: Nick Watney, Ian Poulter, Camillo Villegas, and Anthony Kim are all prime candidates for the award, but I think that Sergio Garcia takes the cake. When he first began his career, Garcia looked like a sure thing to challenge Tiger on a weekly basis for World No. 1 status and it never happened. Tiger won 79 PGA Tour events and Garcia, to this point, has only captured 8. Somehow, Garcia is currently ranked 12th in the world, despite not having won on the PGA Tour since 2012. In fact, he has only won 3 PGA Tour events in the last 10 years! That’s not very good. Rule: Well I’ve always thought that Lee Westwood has underachieved, despite winning 42 professional tournaments worldwide (wow, 43 now? Maybe he hasn’t underachieved after all, thanks Google!). But he hasn’t won a major, and hasn’t really even competed that often in majors. Sergio is an obvious choice too, never having won a major. On the women’s side, I would have to say Michelle Wie just because she was meant to be the next best thing, the Tiger of the LPGA, and hasn’t lived up to that promise, although credit to her for getting her career back on track a bit and winning a major. Whatever happened to Ty Tryon by the way? Loughry: Charles Howell certainly comes to mind. Only 2 Tour wins, no Majors. He’s a steady player but never really lived up to the hype being a top amateur (winning the NCAA Championship back in 2000). I could see Westwood sneaking on this list without a Major win, but he has won many times across the world many Tours, hence why I put Chuck #1. 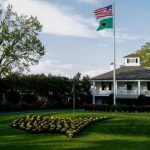 Mumford: Interestingly, a recent poll of PGA Tour players put Fred Couples and John Daly at the top of this list – a recognition of their immense talent but an admission that they could have and probably should have won a lot more. I think Dustin Johnson tops my list. Even though he won a tournament every year for seven years, he too has the talent to win every time he tees it up. I remember being quite concerned when DJ first came on Tour. He was hitting it miles past everyone and displaying great deftness around the greens and I wondered how anyone was going to match him. The answer was that more often than not, especially in majors, DJ beat himself. Did Tiger exceed expectations at the Hero World Challenge? 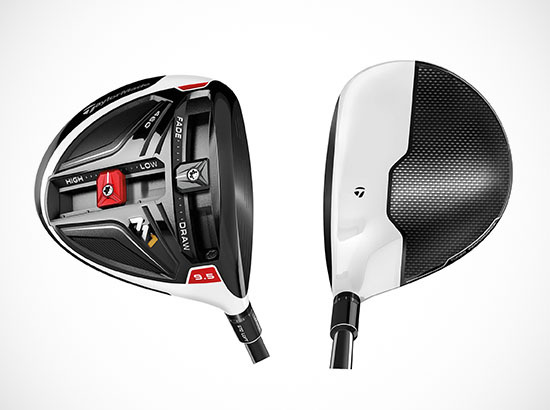 What’s the best & worst golf training aid you’ve ever owned?